Who says girls can't be cowboys? 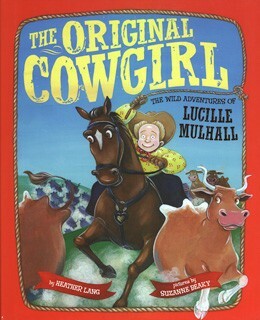 Lucille Mulhall wasn't like most girls in the 1890s: she didn't give a lick about sewing or cooking or becoming a lady—Lucille had her heart set on roping and riding. Traveling around the country, she broke records and thrilled crowds with her daring acts. 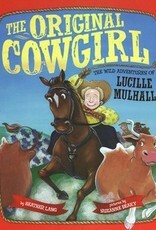 This picture book biography for readers 5 to 8 tells how cowboys, ranch hands, and folks all over the world cheered for the feisty and fearless cowgirl, with the persistent message to pursue your passions no matter how many people might cluck their tongues.